Stunning custom estate! With over 250 feet of golf course frontage across the back, on the 10th tee and 18th fairway! This is easily one of the most desirable lots tucked on a quiet cul-de-sac in the sought after community of River Hills! Where do you begin to describe the painstaking detail that goes into a true custom home! Brick paver driveway, meticulous landscaping and raised entryway featuring double leaded glass front doors! OPEN THE DOOR TO A ONE OF A KIND SPECTACULAR VIEW! 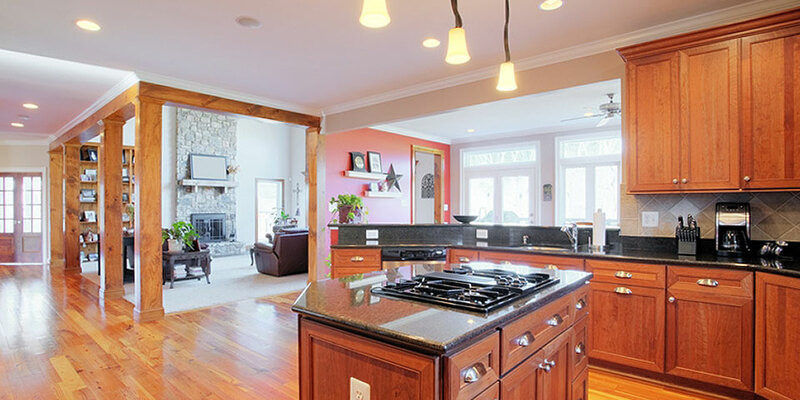 Formal living and dining areas are spectacular for entertaining with hardwood floors! Glorious foyer entry with marble flooring! Enormous family room is the heart of the home with wall of French doors and windows overlooking the lanai and golf course! Kitchen boasts upgraded maple cabinets topped with crown, Quartz countertops, built in stainless appliances and a sunny eat-in nook! In-law quarters downstairs featuring a separate sitting area, bedroom, full bath and kitchenette! Master suite is a true retreat upstairs on one wing of the home with en-suite, 3 walk-in closets and attached office space with balcony also overlooking the views! Bonus room upstairs! Additional bedrooms, storage/workout room or hobby room on final wing! Over 1,200 sq ft of covered lanai space and more than 2,000 sq ft of screened space beyond that! Pre-plumbed for an outdoor kitchen. This home was built for entertaining and no detail was overlooked! 4- car garage with separate bays, including one 8 bay door, perfect for boats and trailers! Search all the properties for sale in the Valrico Florida vicinity through this automated MLS Search tool. The real estate listing you seek is at your fingertips. This extensive Home Search feature will deliver everything currently available in your Real Estate search results. Search listings and full details, one by one or view the list of search properties that are available for sale as you search homes. Use this site if you are looking to buy, if you are a first-time or even a move-up home buyer, or if you need to find the perfect home and you are competing with all the other buyers out there. Our BEST Available Valrico FL real estate can be found right here as well as an excellent choice in a Valrico Realtor to make the transaction as simple as possible. Realtor associates enter every Home for sale into the marketing system shared by all real estate agents through the uniform entry system of mlslistings. Here you will find all of the properties for sale and can be assured that the entire scope of real estate listings can be found right here. There may be an overwhelming number of real estate websites but each and every one of them found on the mls listing will be listed right here. While any real estate agent can help you with a sale or purchase, this comprehensive Hillsborough County site will serve you well. Are you a REALT (REAL estate investor or Two or more REAL properties) and in need of the services of REALTorREALTY? Or simply tired of being a Florida property owner who has grown weary of the continued for sale by owner grind, give us a call for professional assistance. This site or one of our affiliated HomesForSaleRealEstate websites will be your answer to Luxury Home Ownership. Get Valrico FL real estate listings right here as well as the convenience of information at your fingertips. Finding Florida real estate information has never been quicker or locating a locally experienced Valrico Realtor any easier. Realtor agents will record their real estate for marketing into the commonly shared mlslistings. Here you will find each and every available Home for sale as well as a wide ranging variety of other properties for sale to the general public. While there are many real estate websites only REALTorREALTY or one of our affiliated HomesForSaleRealEstate sites can extend to you the convenience that we offer with each of the mls listing and detail reports tailored to your needs. So allow us to assist you with your real estate agent selection process and forget the tireless grind of the for sale by owner traps in Hillsborough County. Who knows, you might even decide to make real estate investing your ticket to financial freedom as you commit to becoming a REALT (REAL estate investor of Two or more REAL properties). Find ALL Properties in zip code 33569, 33578, 33579. We can help! Doing your property search for a Home for sale in the Valrico Florida area? Look no further than this site and the tools available at your disposal. I you are hoping to use the MLS listings you are in luck as these listings are used for the data provided. If you are seeking a trusted Valrico realtor or want to select from a group of the very best Valrico realtors, those who are experienced and have proven to be reliable real estate agents, we can help you here. Every home in the area will be instantly presented to you, every home for sale in the Valrico area. If you are hoping to find a home in, another area just go to the links at the bottom of the page as the returned results on this page are for a home in Valrico, only. Homes for sale in Valrico FL are often some of the most affordable on the market because these homes for sale are from a diverse demographic range. Homes Valrico FL may include condos, townhomes, or villas for sale. Valrico, FL covers zip codes 33569, 33578, 33579. Homes in Valrico, range from high-end condos for sale, new homes, villas for sale, and virtually all of the listed real estate for sale in Valrico. You can also find a starter home in a villa, a condo, or a townhome for sale because we have a wide variety of homes that meet every investment level for the consumer. The real estate in Valrico, just happens to be close to all the activities of the big city, which is easily reached from any property for sale in Valrico FL. A realtor in Valrico FL, can best help you with all of your needs. The assistance of your area REALTorREALTY.com site will prove to be invaluable. Realts looking to find rental property for sale or even a well located parcel of land for sale in Valrico FL, will appreciate the features of this website. A Realt may choose to use this website and related features to network with a Realt or Realty specializing in income investments. That could include a condo for sale or the opportunity to find multi-family value maintenance in townhomes for sale, or the prefect desirable and easily rentable villa for sale. All of the best real estate for sale is quickly offered to you for consideration at your local REALTorREALTY page. Still other sections on this web site will help you to locate Property Management in Valrico. The realtors in Valrico FL are really among some of the most talented professionalsthat you will find and real estate Valrico is a delight to show to customers, especially the ones new to the area who seek property in an easy to commute location. Choose your realtor carefully because they are not all equally experienced and reliable and you and your loved ones deserve the very best. Use this website that the Agent page to find the most trusted realtors in Valrico and even all of Hillsborough County Florida. This site will present through a separate section land for sale, Acreage in Valrico, land in, lots in the area you desire, virtually all the vacant properties in Valrico that you could hope to view on the MLS. The Acreage will vary greatly in size and use and zoning potential. These properties you see will be absolutely everything offered by the multiple listing service in the Valrico Florida, are of Hillsborough County. Visit these dynamic resource pages often as the Valrico multiple listings provided will vary constantly according to the changes taking place in the real estate market. This page will deliver to you the same content provided by a Valrico Realty, from the comfort of your chair and without filtering your results seem through a Realty in Valrico FL. Still another feature provides you with a view of new home builders and model home locators which can be really useful in your search for the perfect home for the family or your investment portfolio.